Many people ask me about the tools and resources I recommend for starting and running a blog. Below I gathered up a collection of tools I am using or have used in the past. This page will be constantly updated, so we recommend that you periodically check it for any updates. I use GoDaddy to purchase all my domain names. GoDaddy offers great low prices and easy management of your domain name through their admin panel. One of the most economical hosting companies in the market. Bluehost includes a great admin panel that allows you to install WordPress and other CMS quickly and easily. 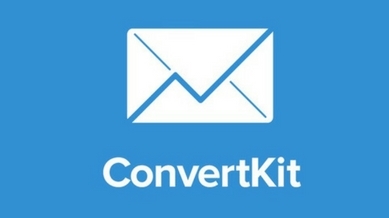 Convertkit is one of the best email marketing and automation tools. It is compatible with almost all advanced marketing plugin, shopping cart, or membership plugin on the market. 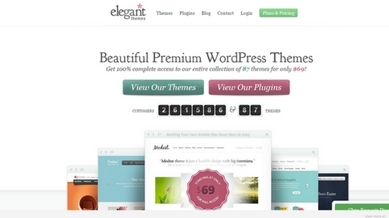 Great priced premium WordPress themes with dozens of beautiful designs to choose from. This site and most of my other sites are built on Divi from Elegant Themes. GoDaddy – GoDaddy has built a customer base offering inexpensive packages (combining domain name registration and web hosting) as well as frequent special promotions for domain names. Go Daddy includes a free mini-hosting plan. When you register you receive a five-page website with pre-designed templates, a photo album, blogging tools, and an email account with 1GB of storage. Although Go Daddy does not offer free private registration, if you register five or more domains, it is free for all of them. NameCheap – Namecheap not only stands out by offering inexpensive domains, this service has gained a great reputation for offering excellent customer service. They also offer free email, customizable domain parking, free domain transfers, dynamic DNS services, and much more. 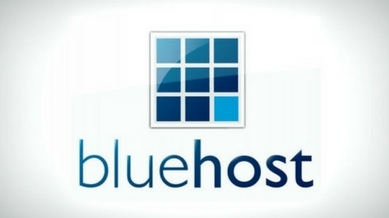 BlueHost – Bluehost is one of the most affordable web hosts out there. Web novice and veterans alike can appreciate that. Plenty of extras make them a bang-for-the-buck favorite. They include unlimited bandwidth on all plans, plus unlimited almost everything else for all but the most basic shared plan. WPEngine – WPEngine is just for WordPress sites. If you care enough about your WordPress site — its security, scalability, load time, and uptime, then WPEngine should be your web host. WordPress.org – The .org version of WordPress provides many of the same features as its .com counterpart, but it also provides additional customization features for any blogger. This WordPress option works out well for folks who want to have complete control over the customization of their blog, but it is not a platform that is easy for beginners to use effectively but there are lots of free and paid options to learn WordPress. WordPress.com – The free platform owned by Automattic (WP.com), is one of the best ways to create a website or make a blog in a very simple, agile and free. Although it has some important limitations compared to his older brother ( WordPress.org ), this free hosting platform featuring all of the different plans that can grow alongside your needs. Blogger – You’d hope with a name like ‘Blogger’ that Blogger would be a decent free service for blogging. Fortunately, it is. Sign in with your Google ID, and you can have a blog up and running in seconds, which can then be customized with new themes. It is, however, a Google service, so they could shut you down whenever they feel like it. Tumblr – Tumblr is a little different than other blogging platforms. It is a microblogging platform with social networking features including following other blogs, reblogging, built-in sharing tools, and more. Medium – Medium has grown in popularity a lot during the last couple of years (more than a million people have joined Medium). In short, it’s a community of writers and bloggers, all using the same looking site design to share their opinions and stories on various topics. SquareSpace – Many people mistake Squarespace as a service for simply setting up a business website, but its blogging platform is very good. Starting at $8 per month, Squarespace makes it easy to build a good-looking blog without any coding experience whatsoever. Elegant Themes – I consider this one the best options for themes ( This site is built on Divi by Elegant Themes ) and plugins. They are high quality and at a great price. Elegant Themes are very professional looking. Thrive Themes – Thrivethemes is famous for its plugin Thrive leads, but they also have a great selection of premium WordPress themes they also have their Page builder, which allows you to create very attractive pages. Theme Forrest – Great price premium templates for WordPress, Magento, Drupal, HTML, etc. StudioPress – Best Known for their high performance and loading speed. Mojo Marketplace – Mojo Themes is a market for templates and WordPress plugins. They have hundreds of well-designed themes. Some of their most popular themes are Devine, metrolo and qualeb . Yoast SEO – The most complete SEO plugin for wordpress. Though search engines have no difficulty dealing with WordPress sites, users who are serious about SEO often still turn to popular, highly-rated plugins in an effort to supercharge their results. And with over one million active installs, Yoast SEO is the leading plugin on the market. Disqus Comment System – One of the most popular commenting options available. Disqus is a free commenting system that can be installed across multiple CMS and site platforms, including WordPress. It allows a user to create and login to a single account in order to comment on millions of websites that have this service installed. Facebook Conversion Pixel – My recommended plugin for inserting Facebook Conversion Pixel code into Posts, Pages, or any other post types. Conversion tracking helps businesses measure the return on investment of their Facebook Ads by reporting on the actions people take after the ads are served. Pretty Link – Pretty Link enables you to shorten links using your own domain name (as opposed to using tinyurl.com, bit.ly, or any other link shrinking service)! In addition to creating clean links, Pretty Link tracks each hit on your URL and provides a full, detailed report of where the hit came from, the browser, os and host. Pretty Link is a killer plugin for people who want to clean up their affiliate links, track clicks from emails, their links on Twitter to come from their own domain, or generally increase the reach of their website by spreading these links on forums or comments on other blogs. Search Meter – If you have a Search box on your blog, Search Meter automatically records what people are searching for — and whether they are finding what they are looking for. Search Meter’s admin interface shows you what people have been searching for in the last couple of days, and in the last week or month. It also shows you which searches have been unsuccessful. If people search your blog and get no results, they’ll probably go elsewhere. With Search Meter, you’ll be able to find out what people are searching for, and give them what they want by creating new posts on those topics. Shareaholic – Shareaholic is the world’s leading all-in-one Content Amplification Platform, which includes related content recommendations, social sharing, following, social analytics and site monetization apps such as promoted content, native ads and affiliate links. This module makes it a snap for any website — big or small — to engage and grow their traffic, market their content, gain insights, and monetize their audience, all from one powerful but easy-to-use dashboard. Table of Contents Plus – A powerful yet user friendly plugin that automatically creates a context specific index or table of contents (TOC) for long pages (and custom post types). More than just a table of contents plugin, this plugin can also output a sitemap listing pages and/or categories across your entire site. UpdraftPlus – Backup/Restore – simplifies backups (and restoration). Backup into the cloud (Amazon S3 (or compatible), Dropbox, Google Drive, Rackspace Cloud, DreamObjects, FTP, Openstack Swift, UpdraftPlus Vault and email) and restore with a single click. Backups of files and database can have separate schedules. The paid version also backs up to Microsoft OneDrive, Microsoft Azure, Google Cloud Storage, SFTP, SCP, and WebDAV. Virtual Robots Txt – Virtual Robots.txt is an easy (i.e. automated) solution to creating and managing a robots.txt file for your site. Instead of mucking about with FTP, files, permissions ..etc, just upload and activate the plugin and you’re done. WP Super Cache – This plugin generates static html files from your dynamic WordPress blog. After a html file is generated your webserver will serve that file instead of processing the comparatively heavier and more expensive WordPress PHP scripts. ConvertKit -ConvertKit specifically caters to professional bloggers. So it includes all your standard autoresponder features like creating web forms, sending email broadcasts and reports. What I like the most about ConvertKit is that it is easy to use. The interface is wonderfully designed and it is easy to navigate around to find what you need. Convertkit is what I use to manage my email list of over 4K subscribers. Mailchimp – MailChimp is tremendously easy to use and it’s a great entry point for small businesses that are just getting started with email marketing. Aweber – If you’re managing a list in the hundreds, thousands or low tens of thousands and you only collect leads through the internet, then there’s no better service than Aweber. Aweber doesn’t really allow you to add leads from offline sources. However, for online lists, Aweber sports the best deliverability ratings on the market. If you’re primarily using online opt-in forms, use Aweber. Your emails will get delivered, opened and clicked on. GetResponse – Looking for an easy, user-friendly program to create and manage your email marketing? All of their features, from creating top quality emails to tracking and reporting campaigns, are surprisingly simple to use and understand. And if that isn’t enough, GetResponse is one of the best overall services for your money. Many features that other email marketing services charge extra for are included with GetResponse’s monthly pricing. It’s great for beginners and easy to switch over from other email marketing services. iContact – iContact makes it easy to manage subscribers and create attractive email marketing campaigns. You can send surveys, engage with customers, and grow your business with little fuss. It’s missing some basic capabilities, though. Constant Contact – Another great autoresponder service used by over half a million people world-wide is Constant Contact. It has a very good deliverability rate and all the essential features of an autoresponder. InfusionSoft – Infusionsoft is a capable, easy-to-use CRM and email marketing platform geared toward small businesses with up to 25 employees. It’s not the cheapest or the most in-depth, but the goal-oriented platform succeeds at helping targeted businesses hit measurable sales and marketing goals. Instapage – Instapage focuses its attention on small businesses and individuals who are only just setting out into the marketplace, with the aim to help them understand how easily they can build quality landing pages with little effort. Whether you want to optmise your page for search engines, test pages using A/B split testing tools or capture user data through the use of forms, Instapage has it all. Wishpond – In terms of a lead management software, Wishpond does the job. But where it really stands out is with the additional tools for email marketing, landing pages, forms and popups. Unbounce – Unbounce is a landing page builder for marketers. Marketers can use the drag and drop platform to create customized, responsive landing pages for their marketing campaigns. LeadPages – LeadPages is web based service for creating high converting landing pages and email optin popups for those that want to get up and running quickly. Free Broken Link Checker – This tool checks a website for broken links. Helpful for broken link building. Bing Webmaster Tools – This tool tells you everything you need to know about your site’s visibility in Bing. Botify – A clean and straightforward site auditing tool. Provides info on site loading speed, HTML errors, and click depth. Browseo – A tool that reveals how a search engines spider sees your site. Google PageSpeed insights – Google PageSpeed insights tells you whether or not Google sees your site as lightning-fast or very slow. It also hands you actionable suggestions that you (or your web developer) can use to speed things up. Google Search Console – Search Console (Formerly known as Webmaster tools ) is a SEO tool. Besides being free, it offers a number of very valuable and important information (which other tools can not offer), because it is owned by google. Google Trends – Google Trends is an online search tool that allows the user to see how often specific keywords, subjects and phrases have been queried over a specific period of time. Use google trends to analyze what trends are occurring online. LongTail Pro – A very easy-to-use keyword research tool. Enter a keyword and get suggestions. Simple and effective. SEMRush – One of the best tools to check your web ranking, keywords, competition, backlinks, analyze social networks and much more. QuickSprout Website Analyzer – The QuickSprout tool is an extremely helpful website analysis tool. Ahrefs – has a number of services and tools that are ideal for spying on the competition and also to search for spam links pointing to your website. Majestic SEO – Majestic is one of the top link analysis tools on the market. The tool also has a few helpful propriety metrics like “TrustFlow” and “CitationFLow” that tell you whether or not that site you want to get a link from is authoritative or spammy. MozBar Pro – Moz Pro is the paid version of Moz. This includes several useful SEO tools. When correctly configured, it offers traffic data for your blog, traffic source, keyword traffic breakdown, on-page optimization, social interactions and much more.